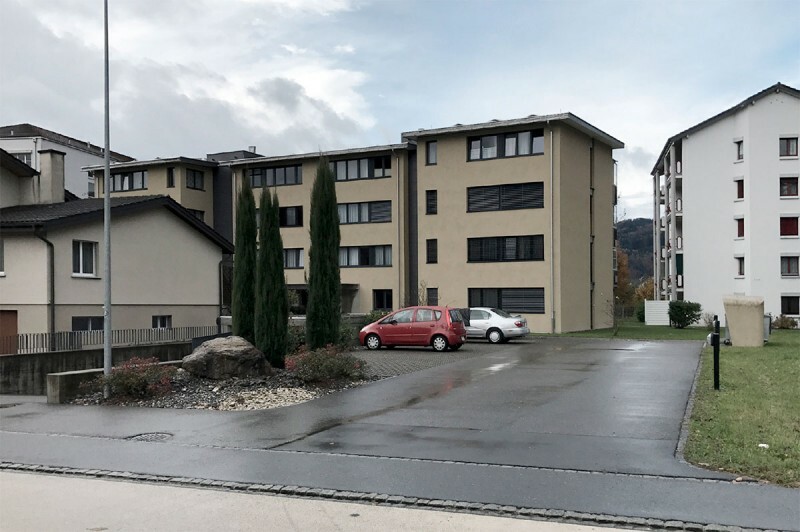 In the municipality of Au, a continuous inner densification process has been underway for several years. The main task of the community is to guide the overall development in the different neighborhoods. 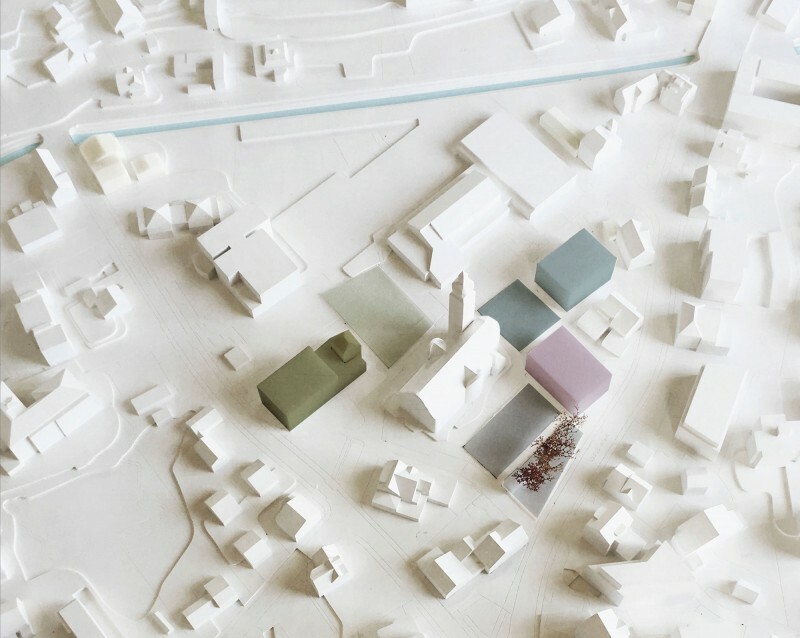 At the same time, high-quality and versatile public spaces will have to be made available: The village centre of Au is to become a public, vibrant, relation-rich and diverse centre for all inhabitants. The proposed urban development concept includes two stages. 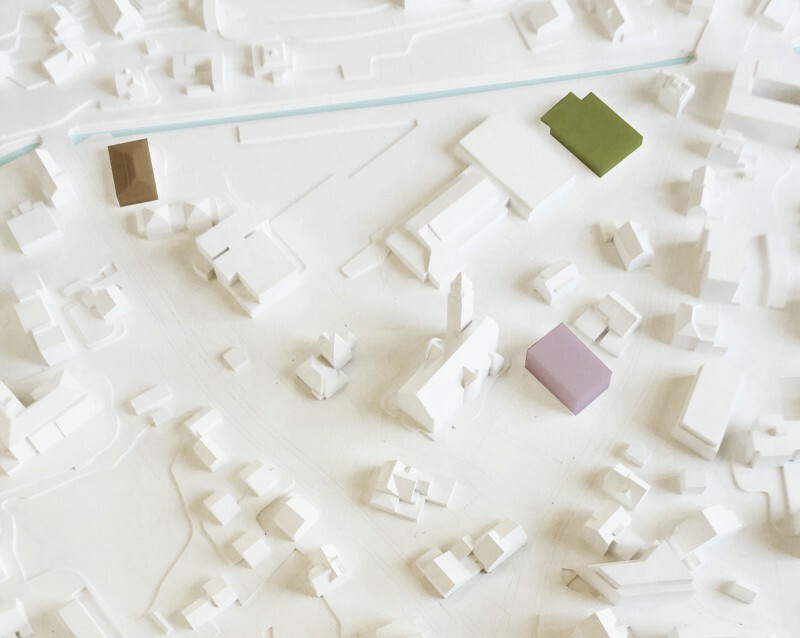 The first stage can be read as an impulse and guideline for the development of the village core: In this first step, the framework plan is to be adopted and the new community center is to be realized. This is the initial spark for all further developments. The other subprojects can be implemented independently of each other. This means that the concept is not tied to an exact timetable. 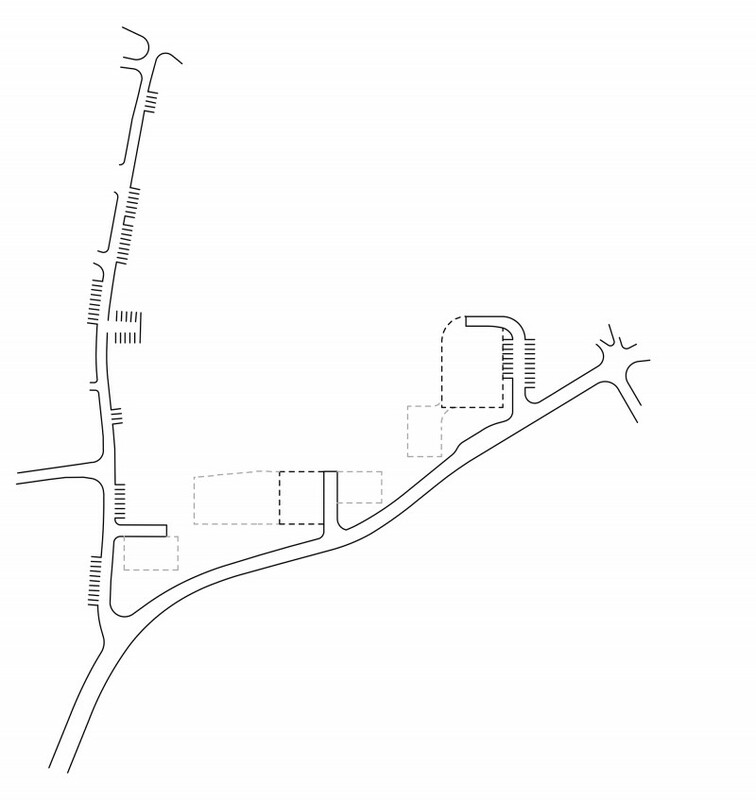 The village square will remain directly on the main road and will continue to be a clearly discernible mark in the course of the road. In this way, it will continue to be a central venue for everyone in the future. 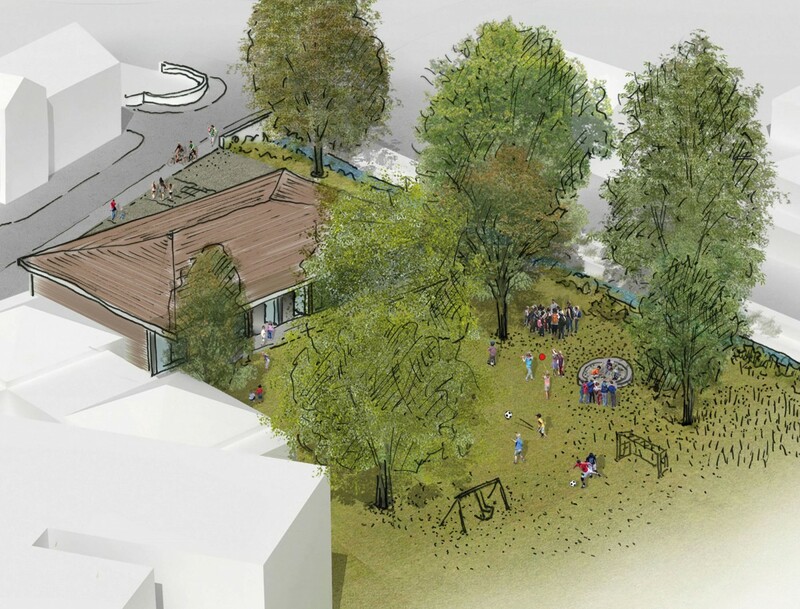 The intensified public space will be supplemented by the church garden and the new playpark with school garden. 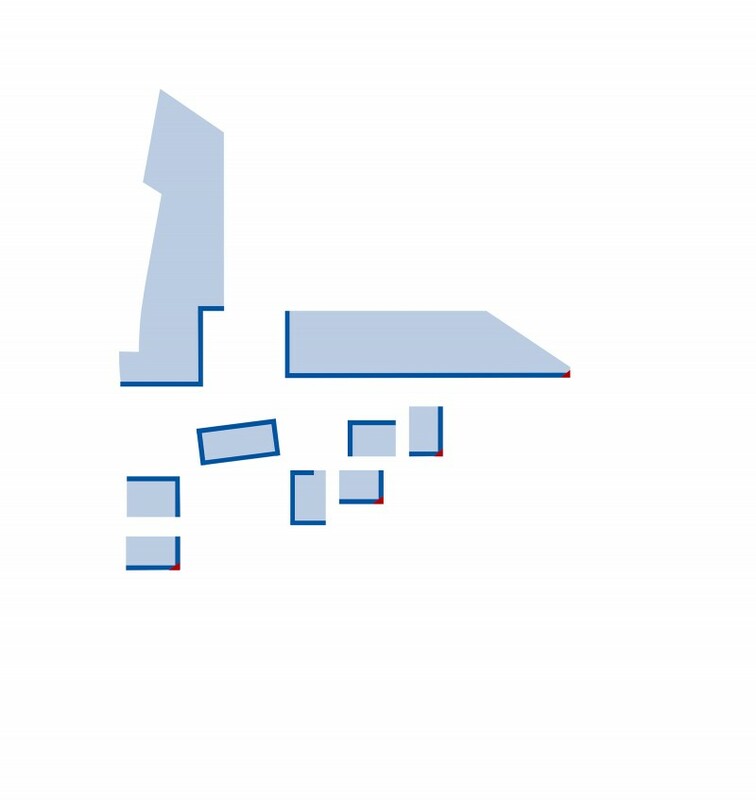 The existing rectangular layout of public buildings will be continued and strengthened. 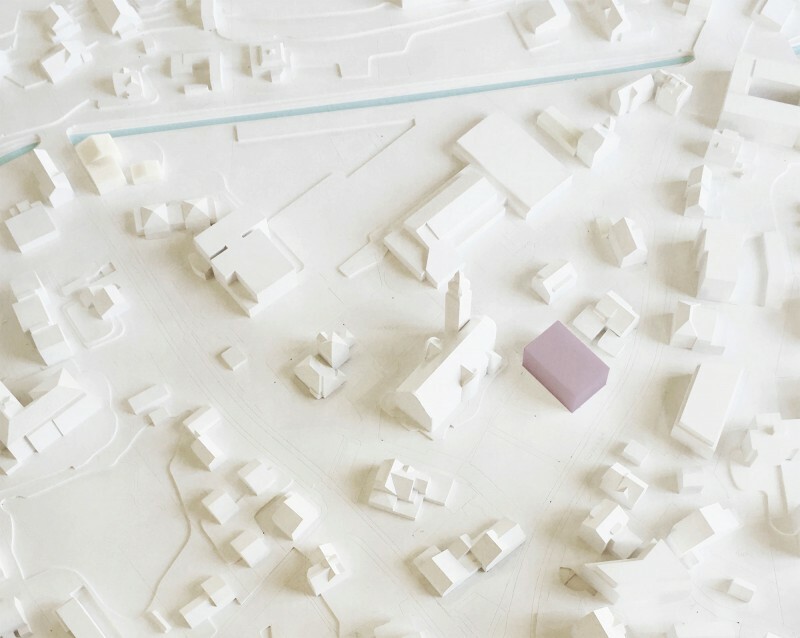 The result is not ONE village square, but a conglomerate of different public spaces. 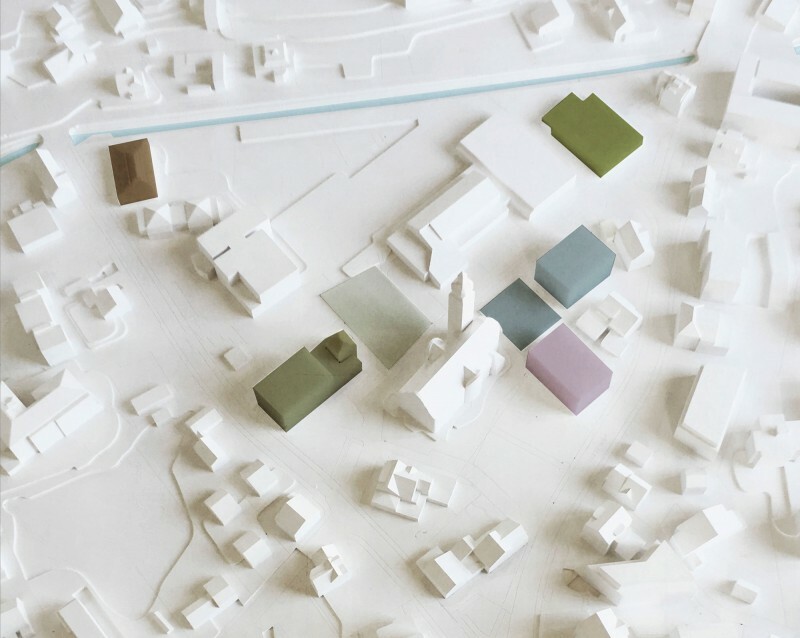 A sequence of open spaces, each with its own strong identity, provides an intriguing spatial experience: village square, church garden, playpark with school garden and church forecourt with fountain and bakery offer an attractive environment for local entrepreneurs. 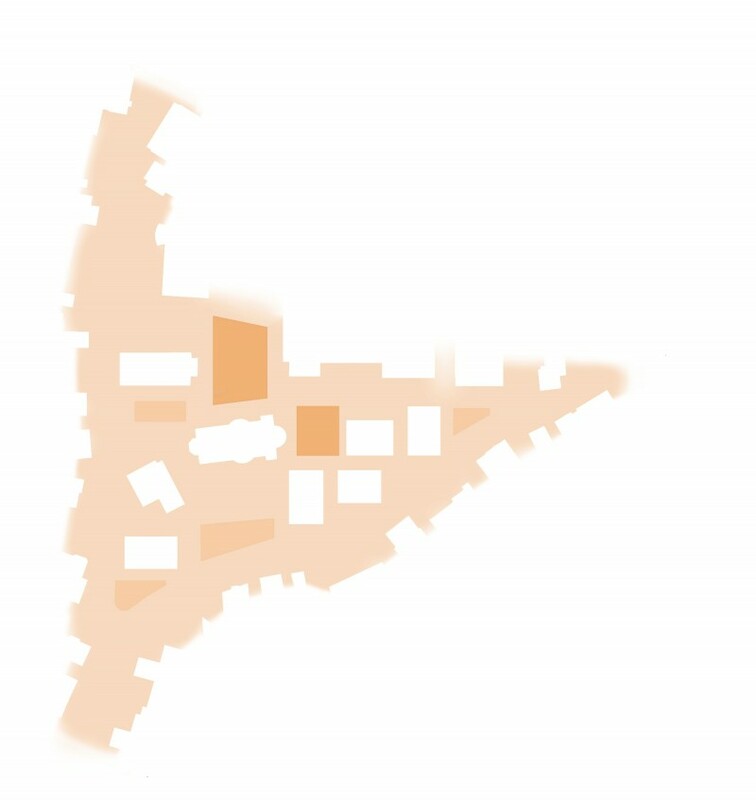 The multipolar configuration of different programmes, times, actors and spaces of opportunity offers great potential for synergies and identification of the inhabitants with the village center. 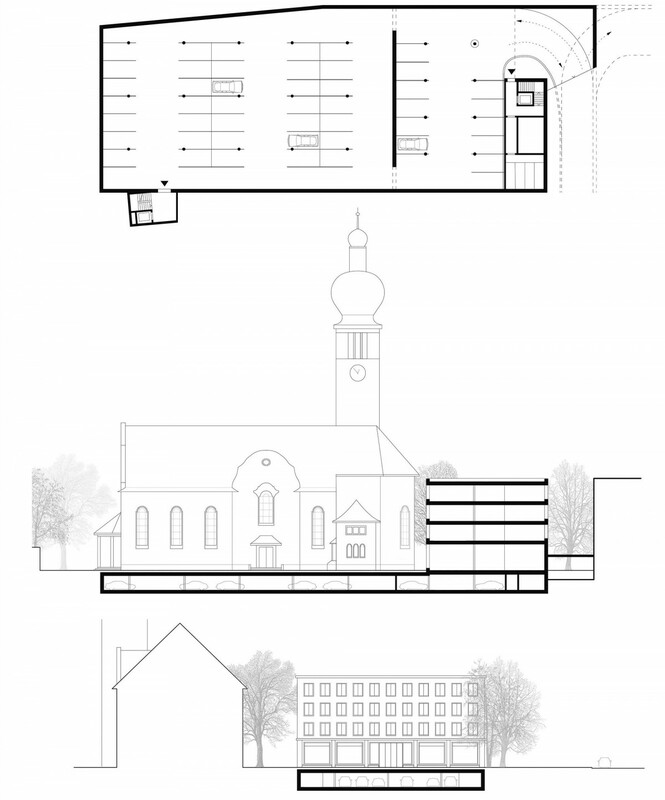 Public space – The ensemble of buildings around the Catholic Church south of the public green area on Littenbach is developing into an urban village centre in the medium to long term. 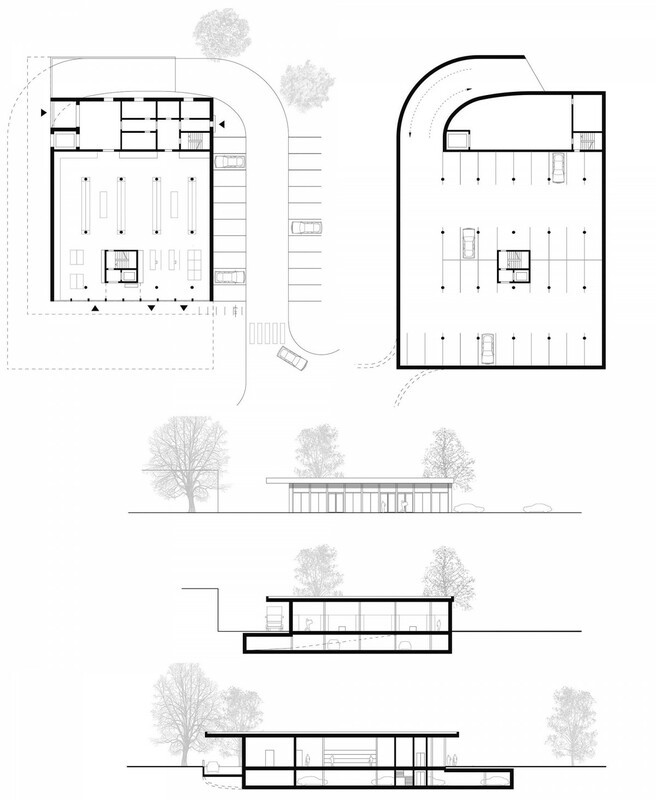 Motorized traffic and parking – The two underground car park entrances are bundled where the largest volume of traffic is to be expected: next to the community center and at the supermarket branch. 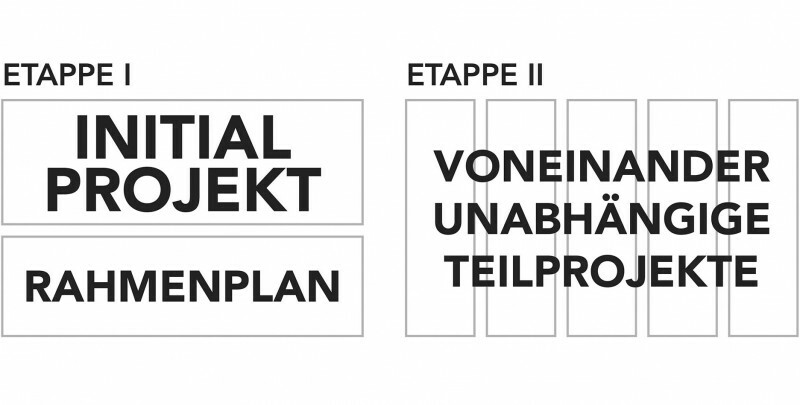 Non-motorized traffic and parking – The open space network is permeable and allows maximum freedom of movement. 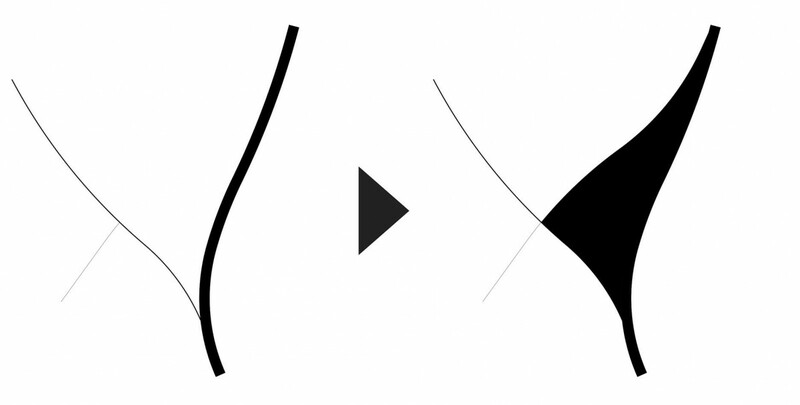 All familiar pathways are retained and supplemented by additional connections. 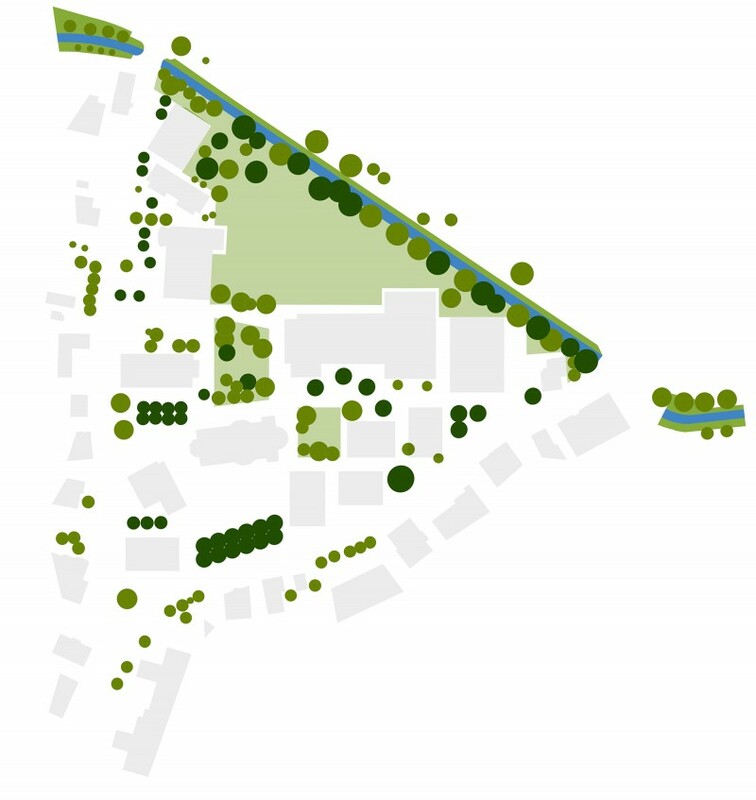 Green spaces and vegetation – Two gardens and the big trees along the Kirchweg provide the village centre with a park-like character. The village square is lined by a chestnut grove along the main road. 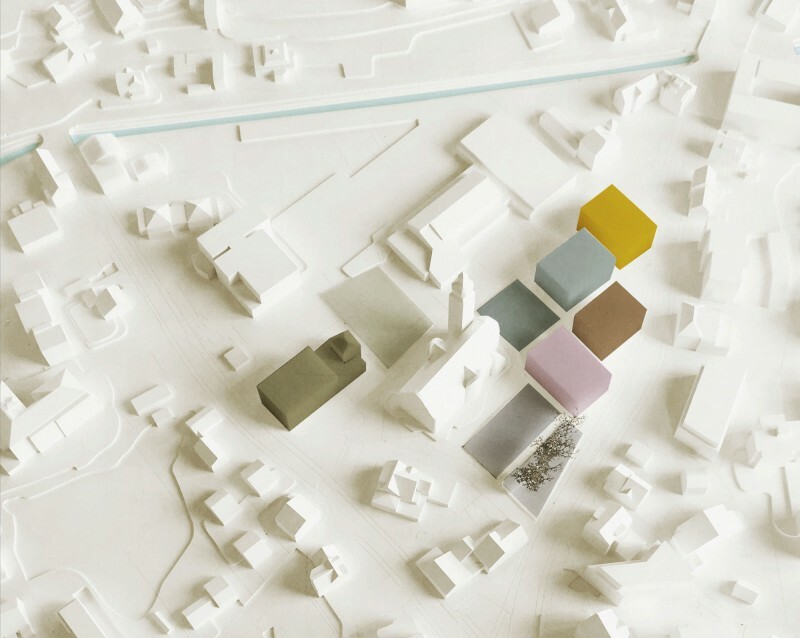 Building envelops – The planning of the centre serves primarily to secure public open spaces in terms of space and quality. 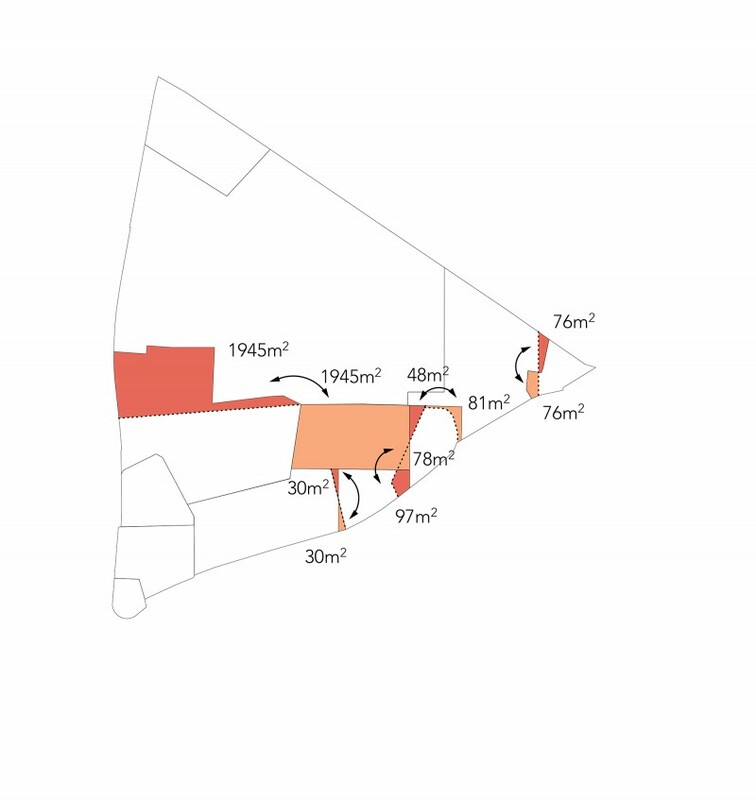 The remaining building plots will be zoned up and can be developed according to village centre zone 4 (DK4). Land transfers – The proposed exchange of parcels between the Catholic and the political community as well as the various smaller parcel adjustments can also be carried out while maintaining the current building volumes and parcel uses. 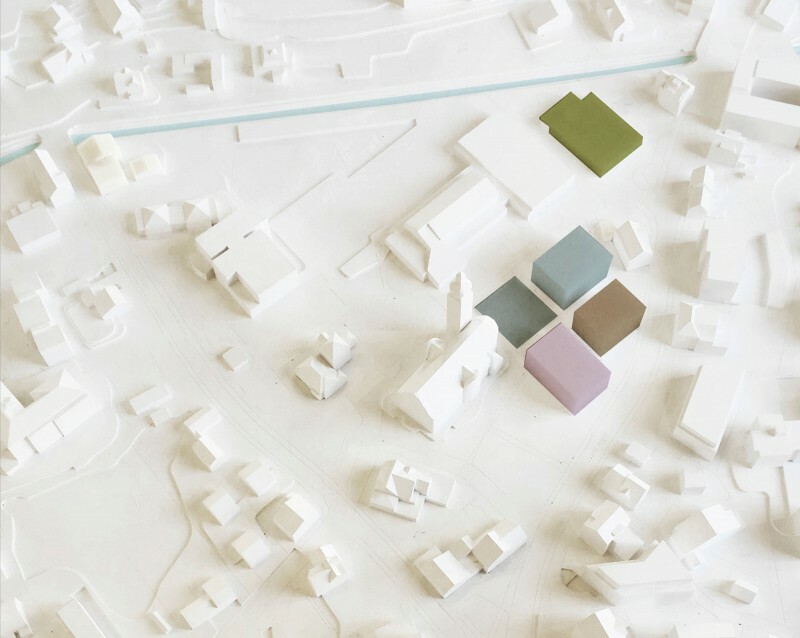 The general urban concept is to be understood as an overarching vision that can be implemented in the long term. 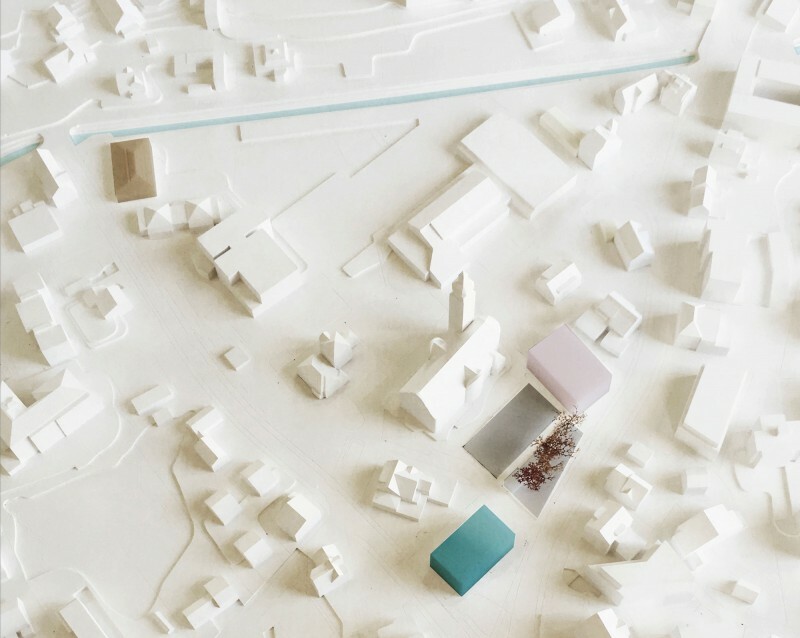 Equally important in the drafting process was that there would also be appropriate spatial constellations and attractive central public spaces in all possible intermediate stages. 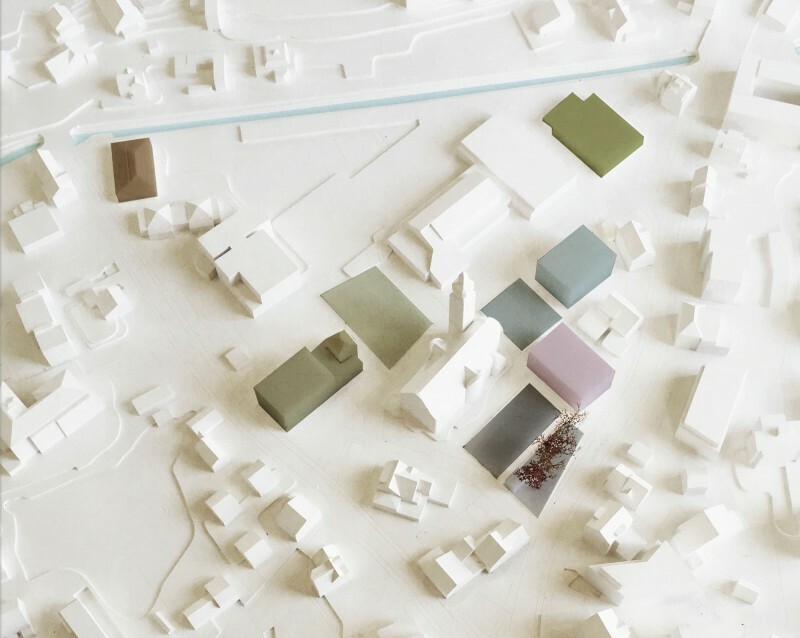 With the proposed urban framework plan, the various steps for revitalising the village centre of Au can be planned and implemented independently of one another. In this way, the development of the community can be accompanied continuously and professionally and can also be flexibly reacted to the requirements of the time in the future. 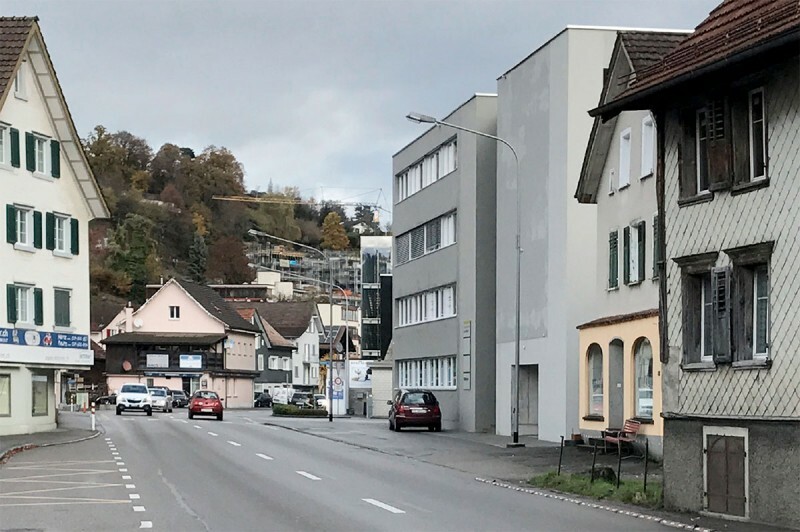 The village square remains in its present position. 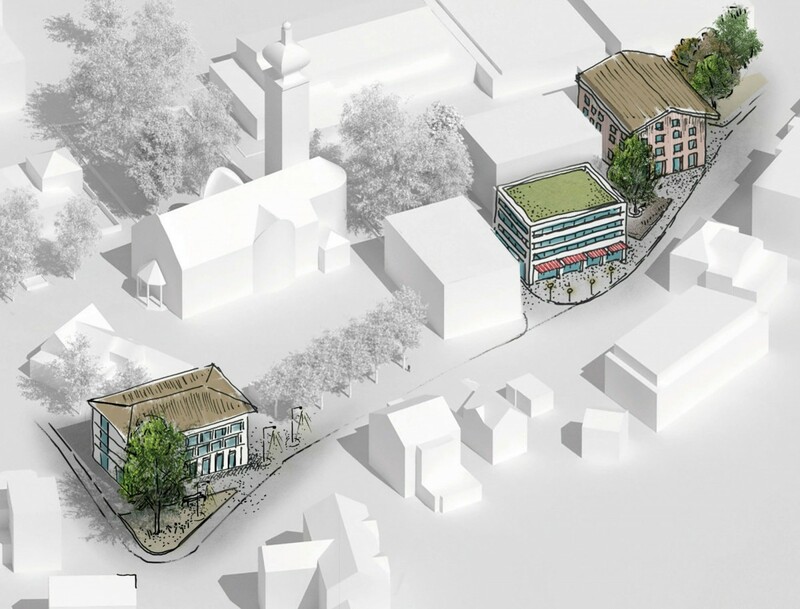 It is surrounded by the church, the new community centre, a tree grove along the main road and possible new buildings along Walzenhauserstrasse. Large festivals, markets and public events will take place here in the future. Today's parking spaces are to be located underground. This provides more space for non-motorized traffic and attractive places to socialize. 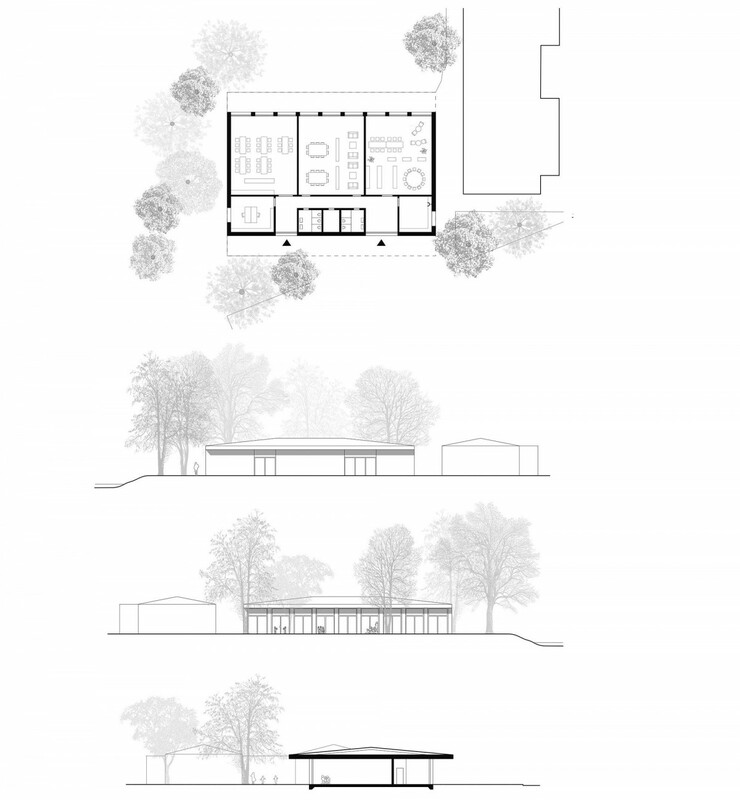 For the new building of the parish centre and the creation of the church garden, an exchange of parcels is proposed. 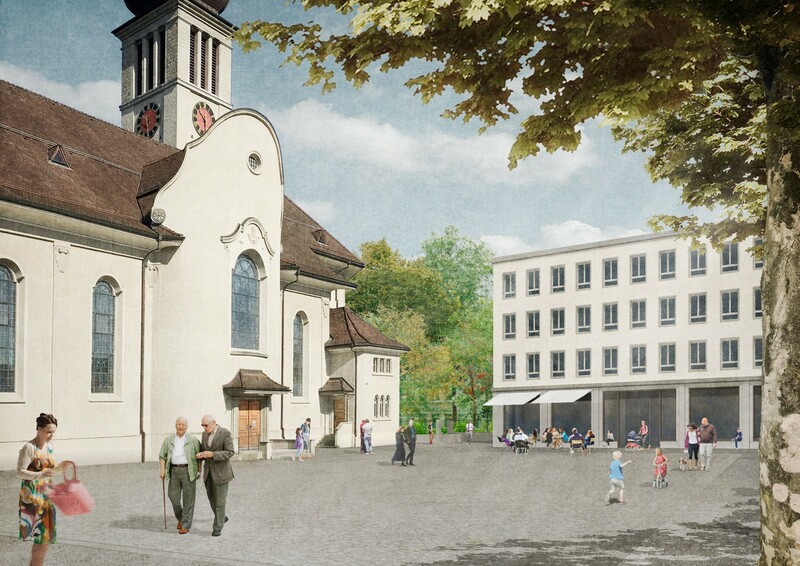 As a result, the parish hall, the church garden and the Catholic Church will be better connected in the future. The church garden can be used for church and other public or private festivities. This means that in addition to the playpark and the village square, a small and fine place is also available for more intimate occasions. 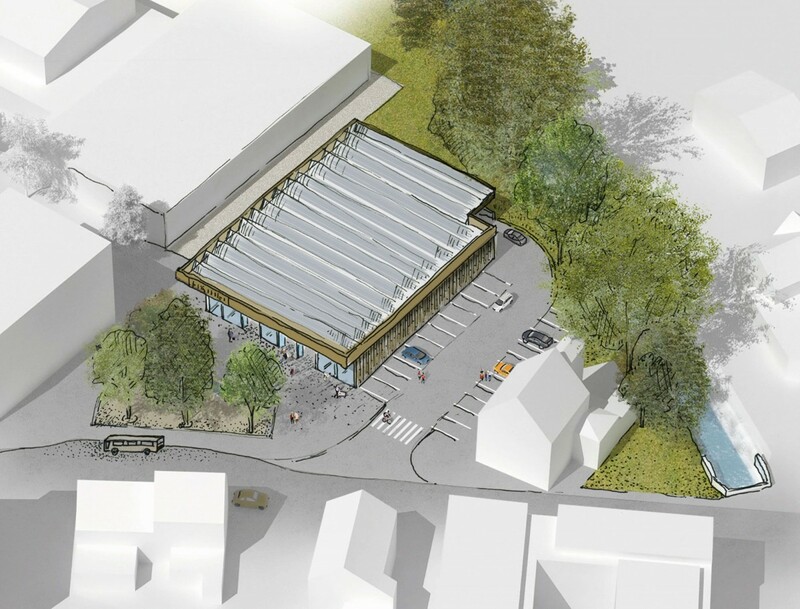 With the construction of a new retail outlet in place of the former community centre, the retail offering in the village centre can be ideally supplemented. 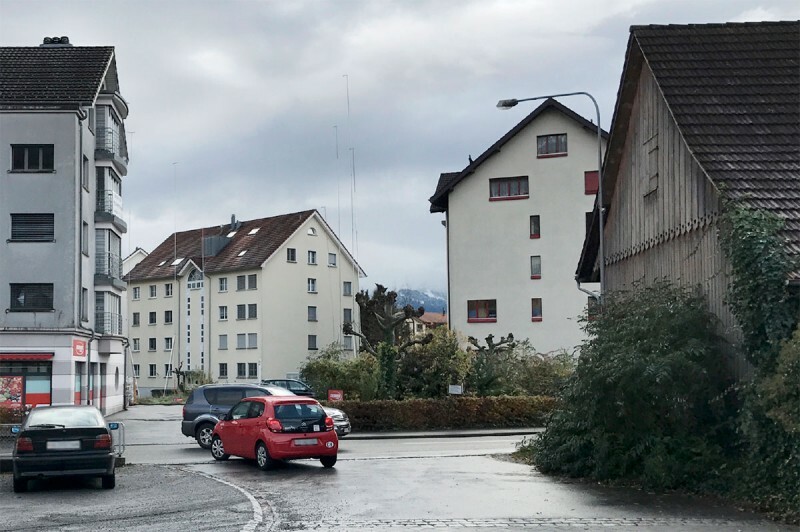 Due to its central location, the shop is within walking distance and offers comfortable parking facilities in a favorable location (no search traffic). The building naturally fits into the series of existing hall buildings. 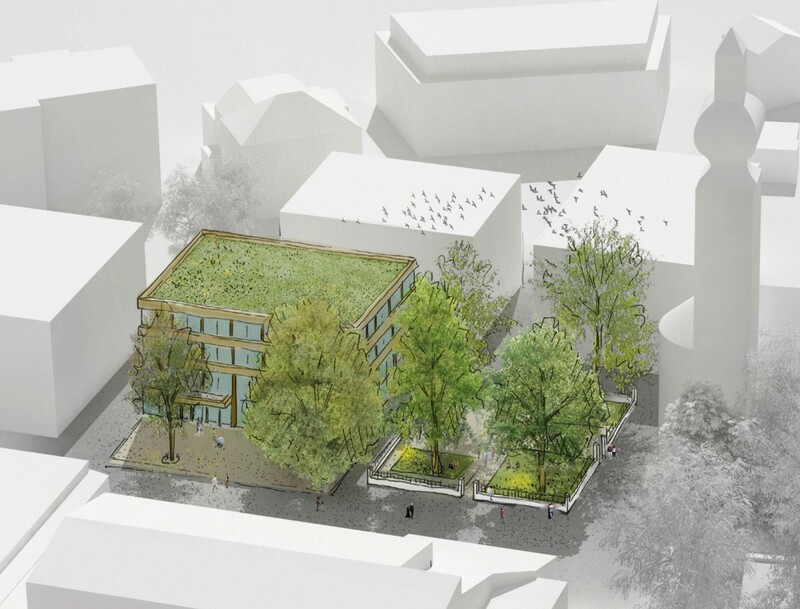 The positioning of the new building volume at right angles to the existing nursery school creates an attractive, enclosed common green space. All the large common rooms of the extension building are oriented towards it. The new building contributes to adding even more value to the spacious, coherent sports and leisure area on the Littenbach in the future. 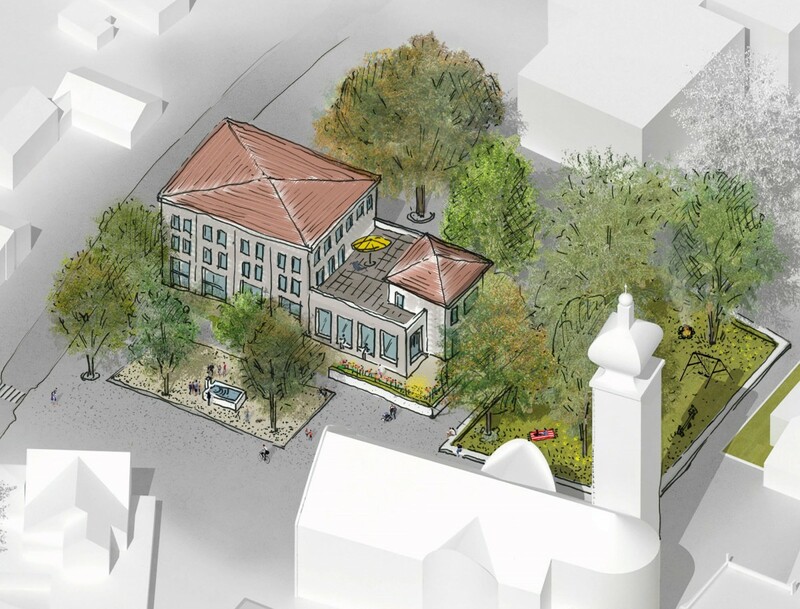 If the new parish hall with church garden east of the Catholic Church is built, the existing property can be used, extended or replaced in the medium to long term. 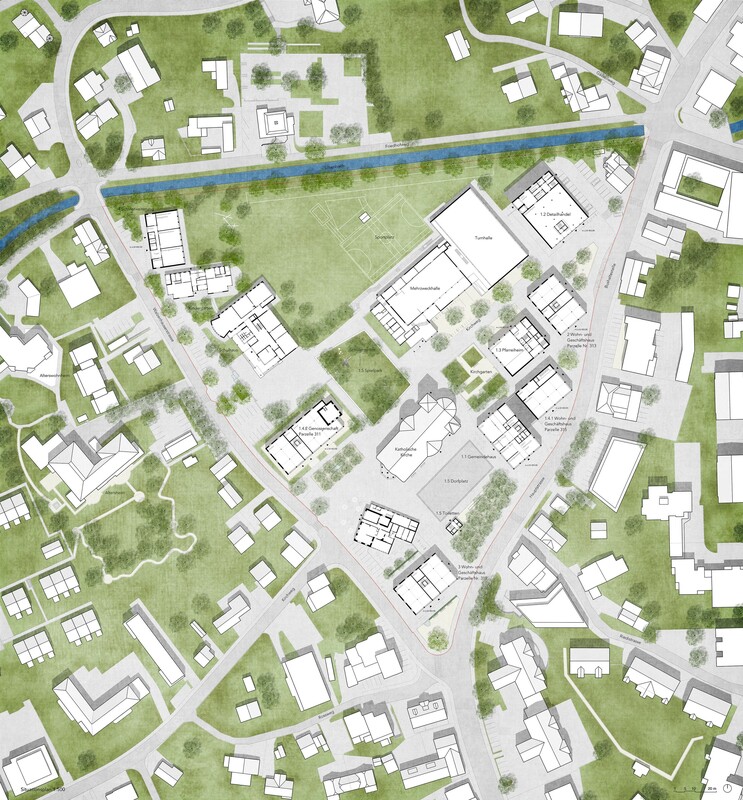 The central location in connection with its immediate spatial relation to the school area offers a lot of potential for future development and many synergies with other uses. 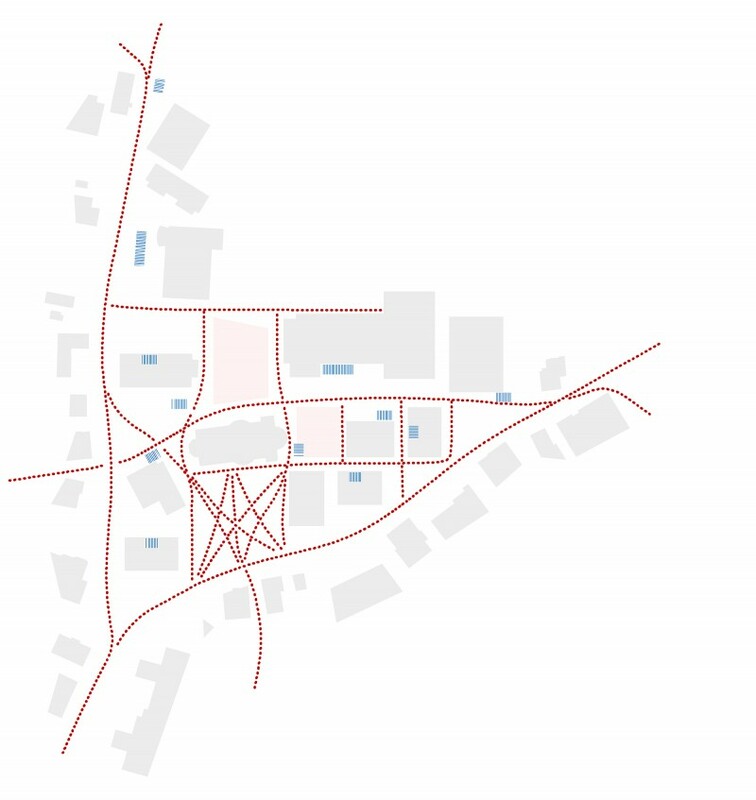 The new framework plan offers many opportunities for the private owners in the village center. On the one hand, they benefit from the planned rezoning; on the other hand, coordinated planning offers many synergies. The attractive accessibility and the harmonized building contours ensure lively public areas with high quality of use and contribute to the value of the properties. The ground floors will be used to attract a wider public, including combined living/commercial studios or maisonette home office space. 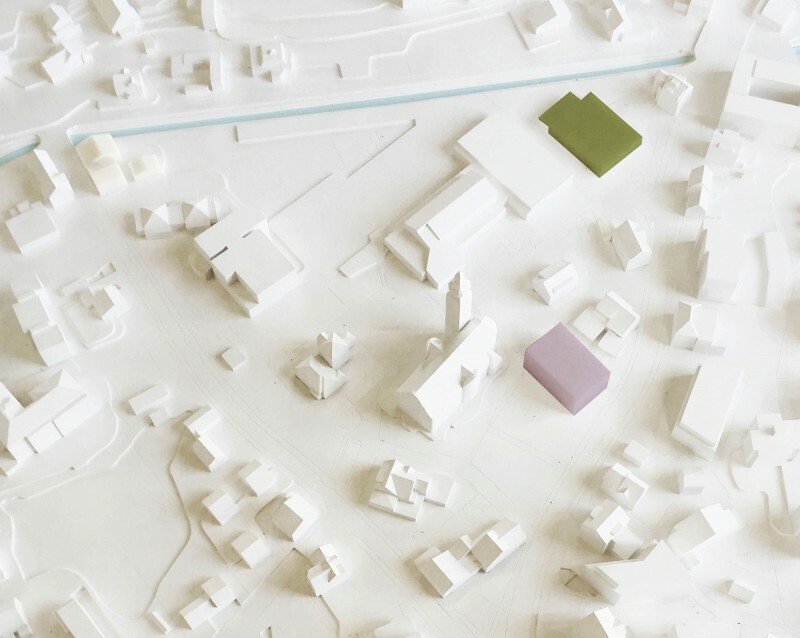 As the largest existing building volume with a high potential for identification, the Catholic Church is an integral part of the proposed urban development plan. Around it, there are provided a range of diverse spaces for different uses. New buildings are employed to structure and spatially frame these public spaces. The volumes of private building projects are allocated to the surrounding buildings in terms of grain size and volume. In other words, the village is coming together around the public spaces near the church. 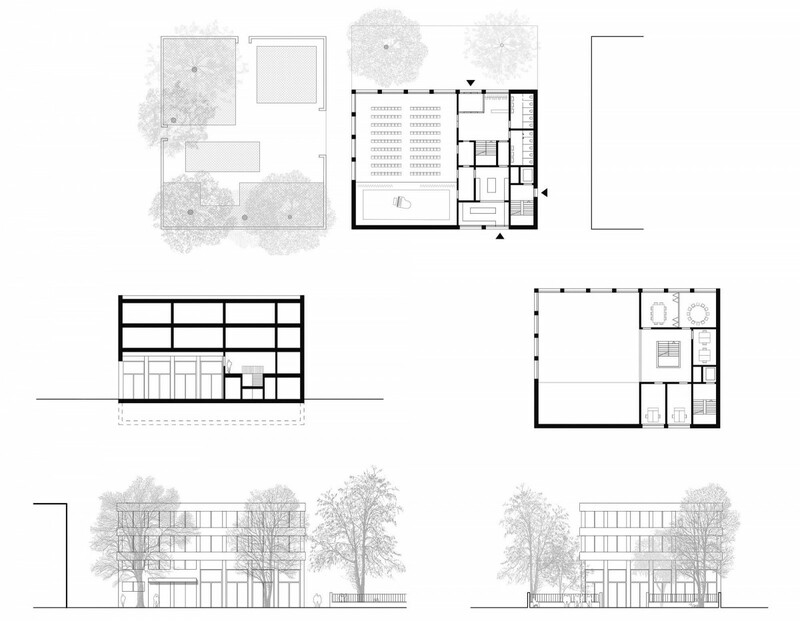 Dorfzentrum Au Status: Competition entry (5th place). 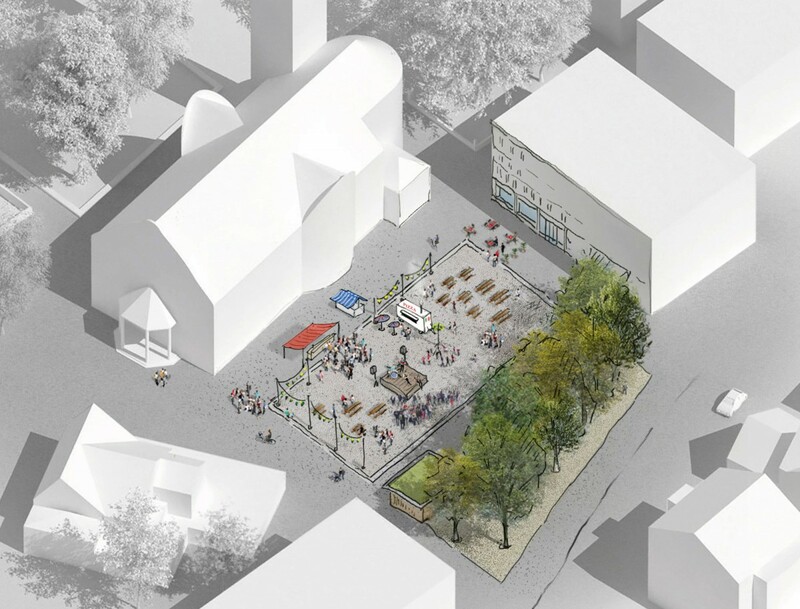 Programme: Redesign and revitalization of village center. Location: Municipality of Au (SG). Schedule: Planning 2017. Cooperation with Heinrich landscape architects. Organizing body: Municipality of Au. Collaborators: Michael Wagner, Raphael Vanzella, Sophia Disiou. Download: Jury report.